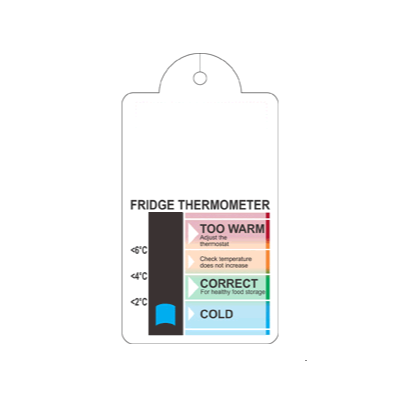 Three event fridge thermometer that gives accurate temperature readings and ensures food is stored at the correct temperature. 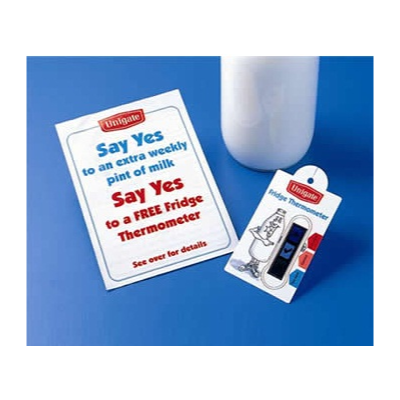 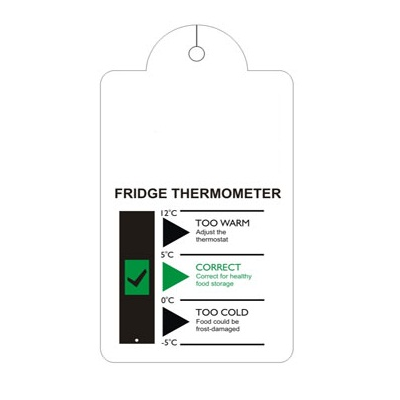 4 Event Fridge Thermometer with Easy Read thermochromic technology. 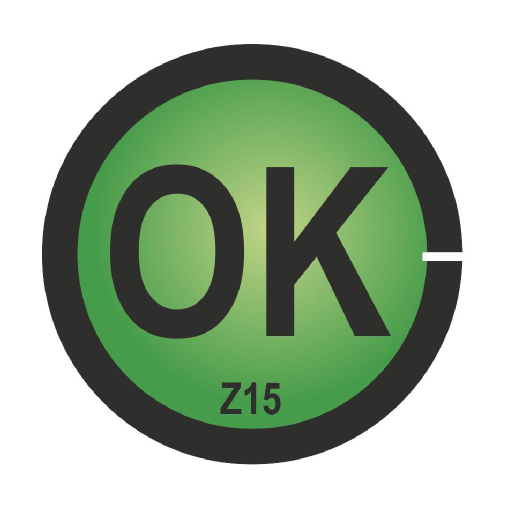 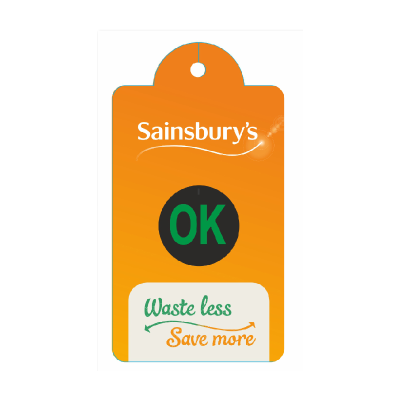 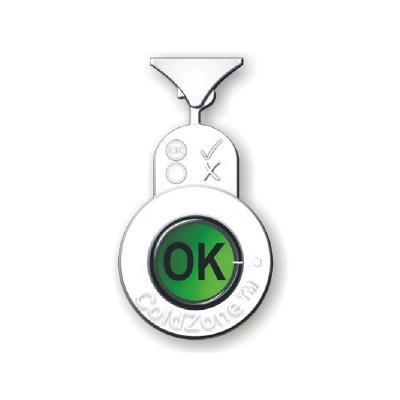 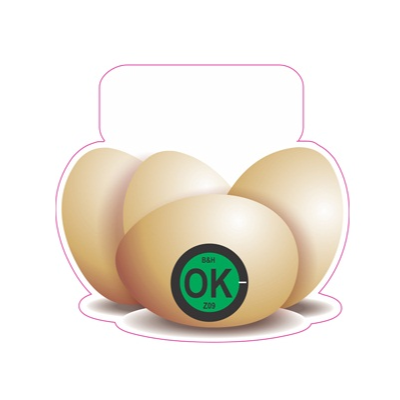 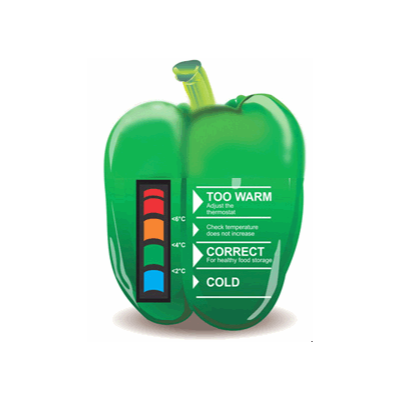 Quickly shows when a fridge is not cold enough for safe food storage. 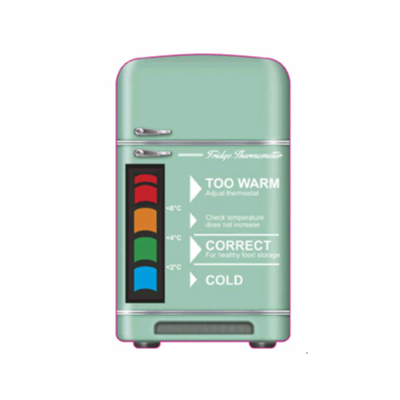 A unique built-in time delay makes this thermometer even easier to read, and the liquid crystal OK panel only appears when the fridge is cold enough, e.g. 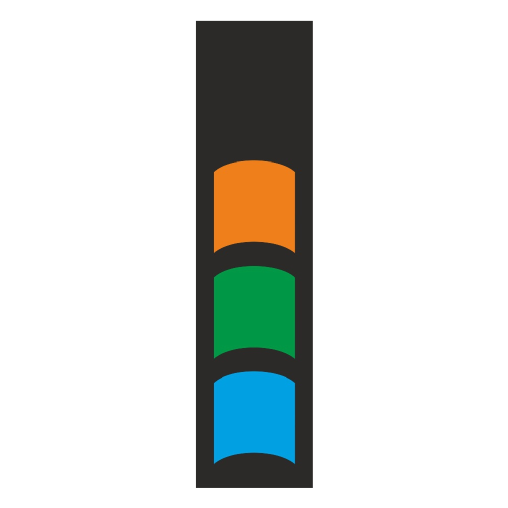 5°C or below.